Today I am truly honored, very humbled, extremely proud and for a moment almost without words (…almost). 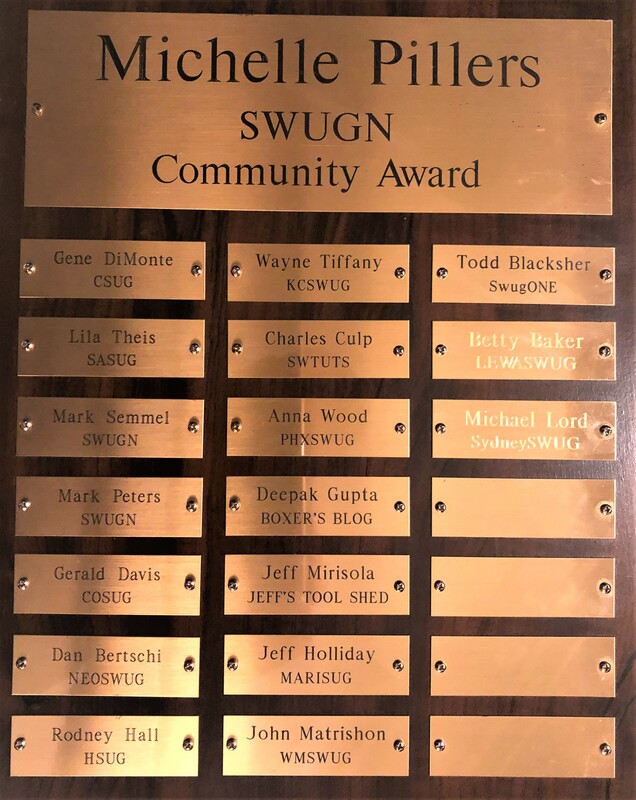 This afternoon the SWUGN (SOLIDWORKS User Group Network) Summit presented their Yearly Awards. 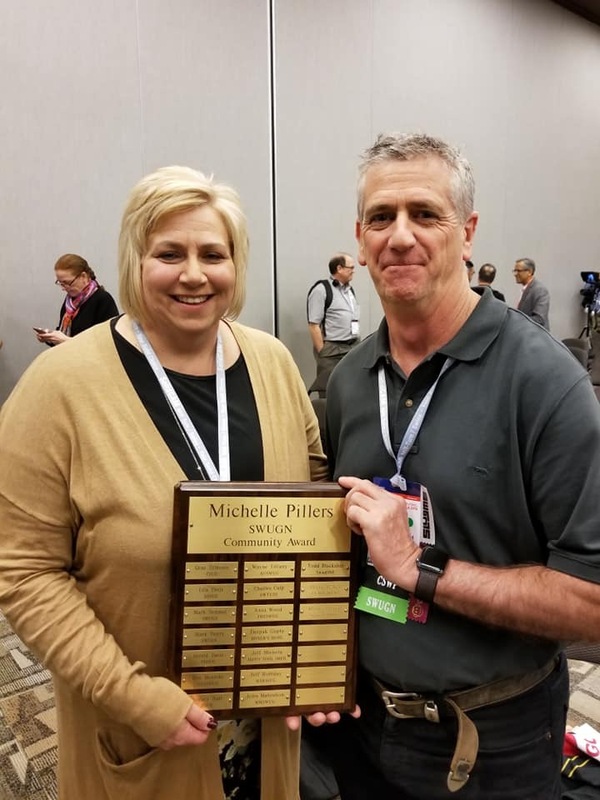 I was extremely pleased when they announced that the Michelle Pillers Community Contribution Award was to go to Betty Baker for her work within the STEM program, and her mentoring of FIRST Robotic Team, along with continuing to inspire the next generation of Women in Engineering. I couldn’t think of a more worthy recipient. I was far more surprised when they announced there would be a second recipient. Even more so when that person was me. Once more let me say that I am very proud and extremely honored to have received this award. Even more so, to be able to share this Award with Betty. Let me Thank all on the SWUGN Committee who helped make that decision. Along with Dassault Systèmes SOLIDWORKS for their continued support over many years. As I look down the names of past recipient I’m proud to say that I know most of them and more so are pleased to be able to call them my friends. Welcome to the club … we’ve been waiting for you! Congratulations, you have totally earned it!